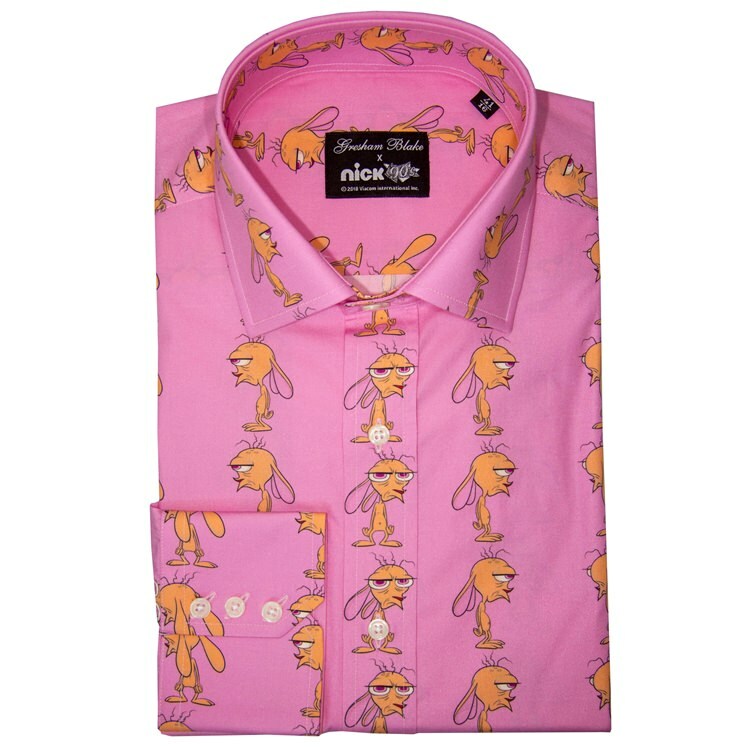 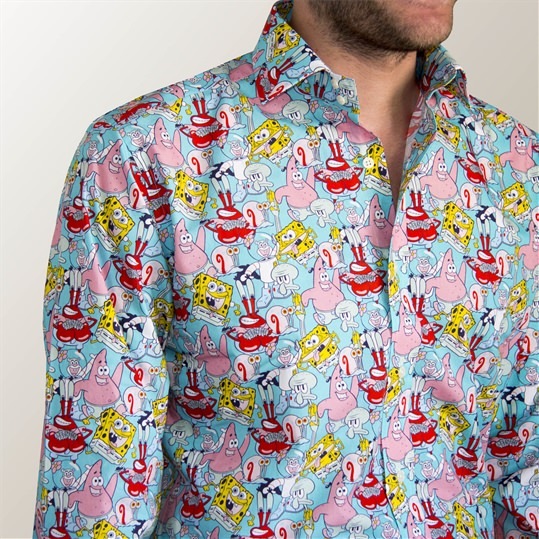 Mens Cotton long-sleeved shirt in pink with a pinstripe design featuring Ren from the Nickelodeon classic Ren & Stimpy. 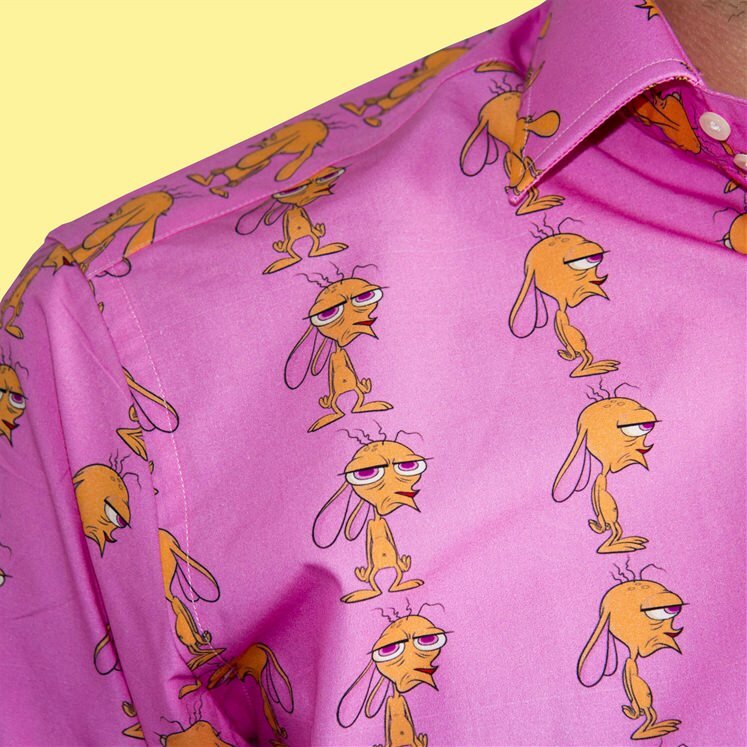 Pink shirt with the many different profiles of Ren, providing a pinstripe effect. 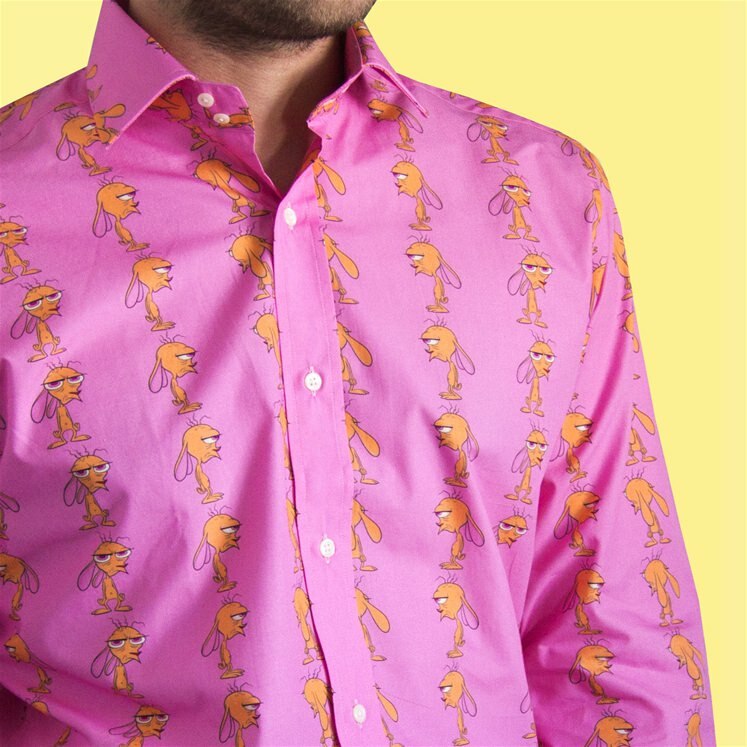 This limited edition shirt is part of an exclusive collaboration between Gresham Blake and Nick 90's. 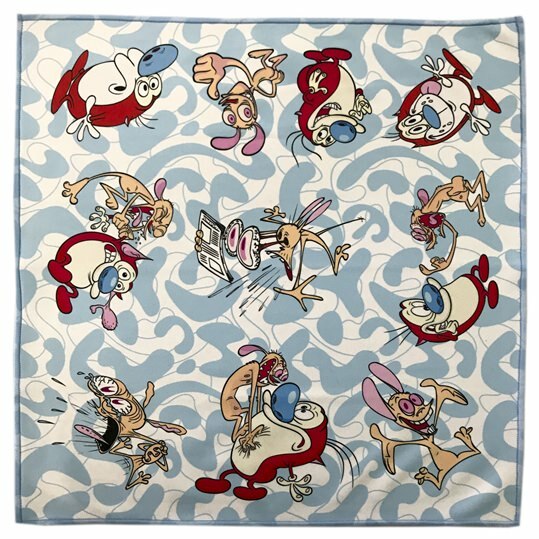 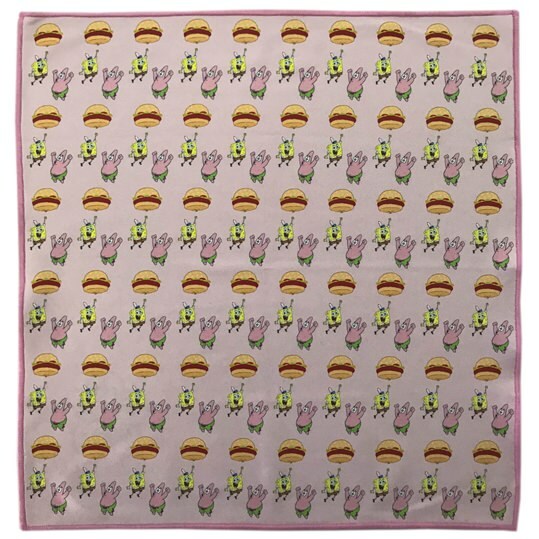 All designs are limited edition and cannot be found anywhere else.